Here’s the 49ers breakdown, and some of the background on how they think things will play out for the team. C.J. Spillman has been a core special teamer over the last two seasons, leading the team in special teams tackles (15) in 2011. In his first season with the club, Larry Grant contributed on special teams and filled in for an injured Patrick Willis, picking up 34 tackles and a pair of sacks in a three-plus game stretch in December. Both Spillman and Grant will receive qualifying offers, with Grant possibly receiving an “upgraded” tender to the second-round level ($1.927 million) to be the No. 3 inside linebacker. Franchise Tag Candidate: Last off-season, safety Dashon Goldson reportedly turned down a five-year, $25 million contract offer from the 49ers. That multi-year offer was taken off the table, and while Goldson visited the New England Patriots, he did not receive a contract offer and returned to the 49ers on a one-year contract worth $2 million with no incentives. Goldson snagged a career-high six interceptions, was named to his first career Pro Bowl, and had 16 tackles and an interception in two playoff games. The 49ers could use the projected $6.2 million tender on Goldson if an extension cannot be reached by March 5. Alternately, the team could opt to franchise tag cornerback Carlos Rogers, who is coming off the best season of his career with 16 starts and a career-high six interceptions of his own. The franchise tag is higher for cornerbacks though, so that could swing the decision to Goldson. Potential Cap Casualties/Restructures: Patrick Willis has the team’s highest cap number ($17.709 million), a result of a restructure from last October that accelerated the prorated amounts of his signing and option bonuses into the 2012 league year and significantly reduced his cap numbers from 2013-16. The 49ers did this knowing they would have ample cap space in 2012, so they are unlikely to seek to reduce Willis’ cap number. 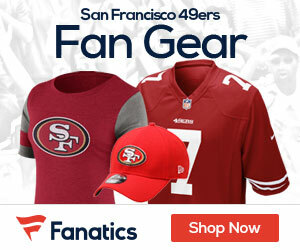 No other 49ers player has a cap number over $7 million, with Frank Gore, Justin Smith and Vernon Davis the only players with cap numbers of $6 million or greater, The 49ers could clear $3.3 million with the trade or release of disgruntled cornerback Shawntae Spencer, who dressed for just nine games in 2011 and was inactive in the playoffs. 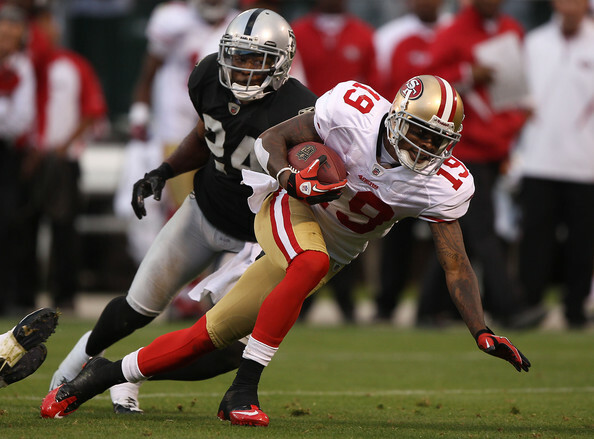 Be the first to comment on "A View on How the 49ers Will Deal with the Salary Cap Issues in 2012"